Murder by Gaslight: An Insane Explorer. On July 8, 1879, the U.S.S. Jeanette left San Francisco bound for the Bering Strait. Its mission, funded by James Gordon Bennett, Jr., publisher of the New York Herald, was to make the United States the first nation to reach the North Pole, on the theory that a warm Pacific current would provide a water route. After nearly two years sailing through ice-bound waters, the Jeanette was “nipped” in the ice on June 12, 1881 and sank the following day. The crew set off on foot, hoping to reach the coast of Siberia before winter set in. 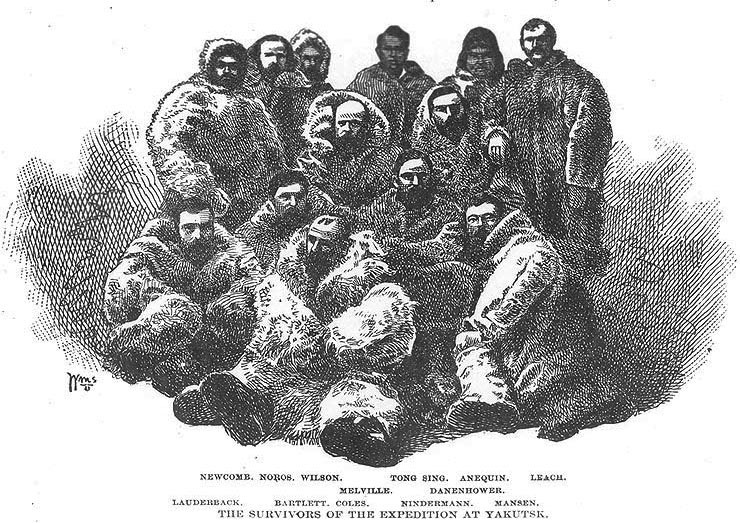 They struggled for 91 days, living on seal, walrus, polar bear, and sea birds, and covered nearly one thousand miles. Only thirteen of the original crew of thirty-three survived. Among the survivors of the Jeanette expedition was James R. Bartlett, who, in 1892, was living in San Francisco with his wife and their niece. Mentally, Bartlett never recovered from his arctic hardship; and had previously been confined in an insane asylum. Around 1:30, the morning of October 30, 1892, Bartlett went into his house and told his wife he was going to kill her. He drew his revolver and shot his wife in the shoulder. As she ran screaming from the room, their young niece, Lottie Carpenter, came in and tried to intercede. Bartlett shot her in the head and she died moments later. He then went to a back room and shot himself in the head. “[San Francisco; Miss Lottie Carpenter; James R.,” Oregonian, November 1, 1892. “An Insane Explorer.,” Plain Dealer, October 31, 1892. “An Insane Murderer,” San Diego Union, October 31, 1892. “Crazed By His Arctic Sufferings.,” New York Tribune, October 31, 1892. National Geographic: The Hair-Raising Tale of the U.S.S. Jeannette's Ill-Fated 1879 Polar Voyage . 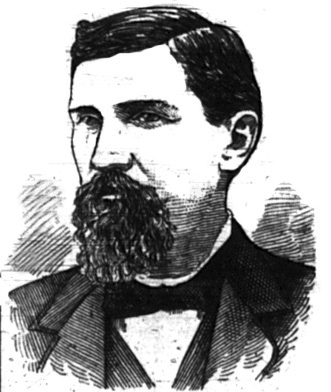 “James R. Bartlett Dead,” Daily Register-Gazette, October 26, 1893. USNI News: The Jeannette Expedition. “News in Brief.,” Huntsville Gazette, November 5, 1892.